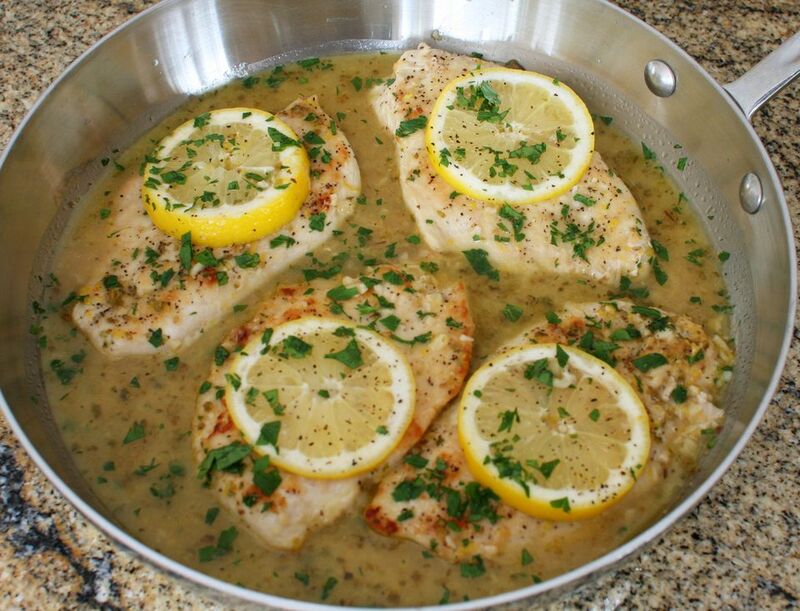 This lemon chicken is flavored with garlic, fresh lemon juice, zest, and a little thyme. It's an easy and rewarding dish with bright, bold flavor. A garnish of parsley and slices of fresh lemon finish the dish perfectly. Serve this flavorful lemon chicken with rice pilaf, baked potato, or angel hair pasta and a salad for a fabulous meal. Arrange the chicken pieces in single layer in a large nonreactive dish or put them in a large food storage bag which can be sealed. In a small bowl, whisk together lemon zest, lemon juice, garlic, dried thyme, salt, and pepper. Spoon the lemon mixture over chicken; cover or seal and refrigerate for 3 to 4 hours, turning frequently to keep the chicken coated with the marinade. Remove the chicken from the marinade and drain well. Pour the marinade into a saucepan and set aside. Arrange the chicken in a shallow baking dish. Brush with melted butter. Bake at 425 F for 25 minutes. Meanwhile, place the marinade over high heat and bring it to a full boil. Brush the marinade over the chicken pieces. Continue baking for about 20 to 30 minutes longer, or until the chicken is browned and thoroughly cooked, basting frequently. Garnish the chicken with the lemon slices and sprinkle with chopped parsley. Boil remaining marinade for 1 minute and spoon some over the chicken just before serving, or serve separately.